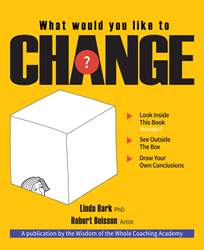 Acclaimed coach Dr. Linda Bark and artist Robert Boisson have teamed up to publish an interactive self-help book about change. "What Would You Like to Change?" identifies a new way for dealing with challenges, problems, and change in 2018. This is not your mother's self-help book. Dr. Linda Bark’s first award-winning book, “Wisdom of the Whole” laid the foundation for her newly published “What Would You Like to Change?”. The innovative book presents a unique groundbreaking process for change in 2018. Using insight and awareness from different ways of knowing is the way of the future. This book provides a step-by-step process for learning how to activate this powerful internal process. In the words of author Dr. Bark, “This book identifies a new way for dealing with challenges, problems, and change.” Most books that come out at the beginning of the year give readers prescriptions or protocols to follow. This book is the opposite - it provides a framework to literally ask readers how they would like to dream for themselves, draw their own conclusions, and make meaningful changes in their life. The "What Would You Like to CHANGE?" activity book complements the award-winning Wisdom of the Whole textbook "Wisdom of the Whole: Coaching for Joy, Health, and Success" by Dr. Linda Bark, the "Wisdom of the Whole Coaching Toolcards for Joy, Health, and Success" by Dr. Linda Bark, as well as the Wisdom of the Whole Coaching Academy's coach training courses. Linda Bark PhD, RN is a Master Certified Coach (International Coach Federation), a Board Certified Nurse Coach (American Holistic Nurses Credentialing Corporation), a National Board Certified Health and Wellness Coach (International Consortium for Health and Wellness Coaching) and has more than 25 years of coaching experience in her private practice as well as 20 years of training coaches. She has taught at organizations including Cleveland Clinic, Mayo Clinic, and KPMG in India. She is founder and CEO of the Wisdom of the Whole Coaching Academy. Dr. Bark has also received recognition for her book and Wisdom of the Whole Coaching Academy’s course companion “The Wisdom of the Whole: Coaching for Joy, Health and Success” which was awarded an American Journal of Nursing 2012 Book of the Year for Professional Development and Issues. Dr. Bark’s integral/ holistic coaching model is an innovative and unique approach to co-creating learning experiences that engage people and help them feel and maintain a sense of ease, power, fun, and fulfillment. 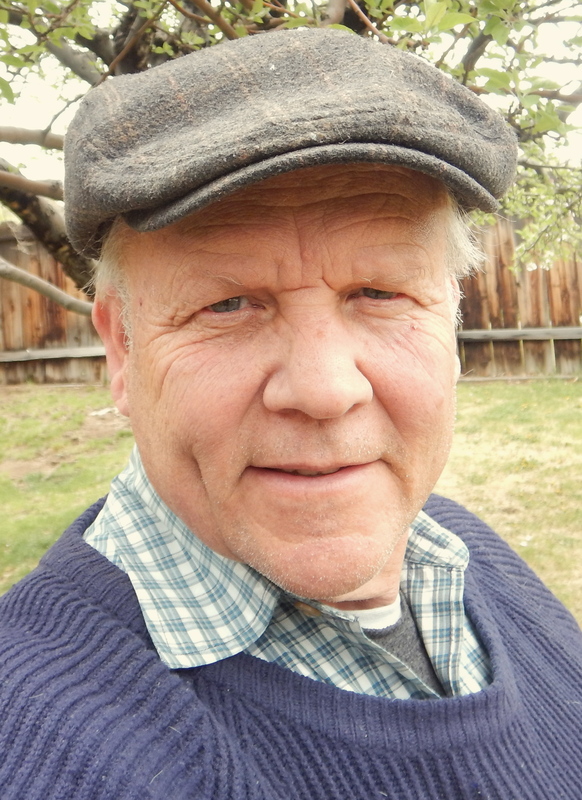 Robert Boisson has exhibited art and photography in numerous gallery and museum shows in California, Nevada, and Arizona. He was invited to curate exhibits for the University of Nevada and what would become the Nevada Museum of Art. He continues to exhibit with photos recently included in a New York City gallery of world-wide photographers and drawings included in a Nevada show entitled, “Identity,” in the fall of 2017. His professional career in advertising, marketing, and media has included positions of creative director and vice president with ad agencies, director of promotion for the nation’s newspaper, USA Today, and marketing development director for various newspapers within the Gannett company. He has collaborated with Dr. Linda Bark as an artist, writer, and marketing consultant since the 1970s, sharing a desire to help others discover their inner strengths and maximize their abilities to achieve their own unique goals. The Wisdom of the Whole Coaching Academy is an international organization on the leading edge of holistic coaching, bringing the Wisdom of the Whole® model to transform and expand the coaching and learning paradigm. We are a home for discovery and exploration of a new way of coaching that creates wholeness and benefits the coach, the client, and the world. We are a school with heart and integrity, led by our visionary leader, Dr. Linda Bark, a pioneer in the field of professional coaching and nurse coaching. 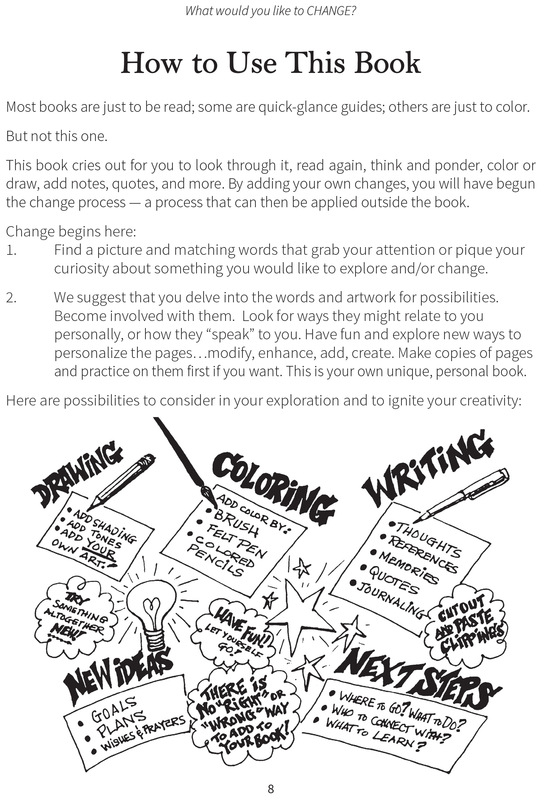 Readers are invited to change this book...From highlighting passages to adding quotes that add meaning, to shading or coloring drawings, or pasting magazine clippings and photos over the drawings to make a collage...whatever calls and inspires you! How to Use This BookHave fun and explore new ways to personalize the pages…modify, enhance, add, create. 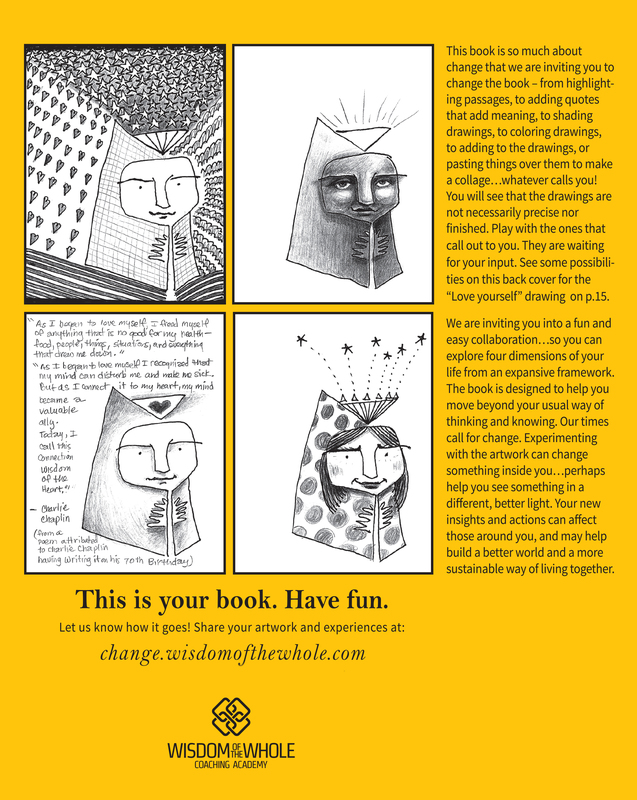 Then upload your changes to http://change.wisdomofthewhole.com Author, nurse, and coach Linda Bark, PhD, RN, MCC, NC-BC, NBC-HWC Artist and Illustrator Robert (Bob) Boisson Wisdom of the Whole Coaching Academy -an international organization on the leading edge of holistic coaching, bringing the Wisdom of the Whole® model to transform and expand the coaching and learning paradigm.